Finally I can reveal that I'm on the new Creative Time over at Kraft It Up!!! I've been keeping this secret for a few months now and OMG I can scarce believe it LOL! Honestly. I'm now on the Design/Creative Teams of my three top favourite challenge blogs! I have my own personal tri-fecta party happening here LOL!!!!! Plus I'm designing for one of my all-time favourite scrapbooking stores and doing guest design spots here and there. I am one happy scrapper right now!!! 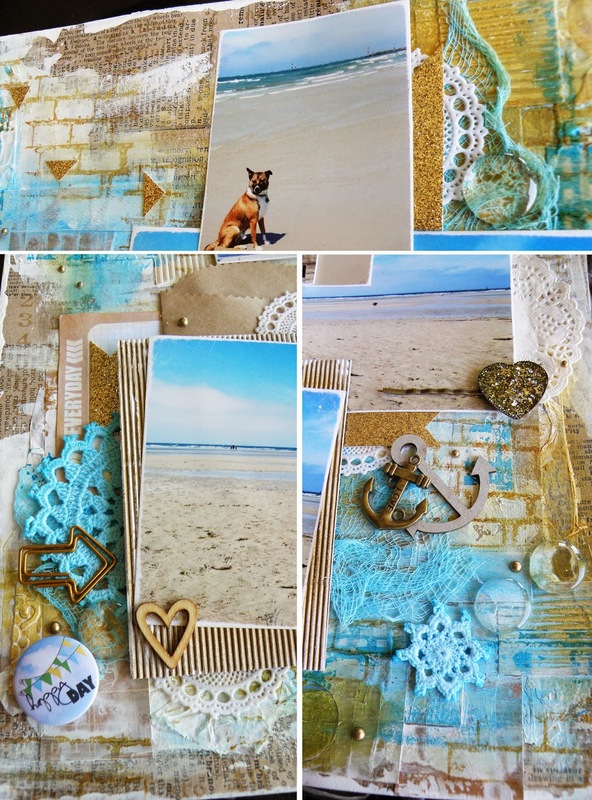 So moving on from my excitable chatter, the challenge this month at Kraft It Up is to scrap something you love and for me that meant scrapping the beach .. I've used lots and lots and lots of fabulous embellishments from D-lish Scraps on this layout, including left over bits and pieces from three different Just Add Paper Kits. PS: A special thanks to our sponsors this month Scrapbook Divas and Scrapbook Fantasies.